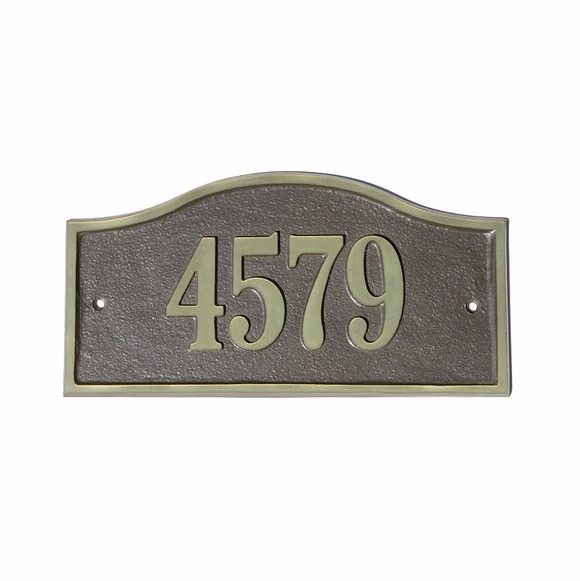 Arch Address Sign - - solid cast brass personalized arch address plaque. Standard size custom sign includes one line of personalization. Wall mount. Made in USA.